In celebration of summer break, Pure Florida invites children in Southwest Florida to come aboard for educational science cruises offered on select dates at multiple locations throughout the summer months of June, July and August. Expanding upon Pure Florida’s Kids Cruise Free Saturdays at 10 a.m. with paid adult admission departing from both locations in Naples and Fort Myers, Pure Florida is also offering Kids Science Cruises in Naples and Marine Science Kids Cruises in Fort Myers and Cape Coral Four Freedoms Parks. Pure Florida’s Naples location out of historic Tin City will offer Kids Science Cruises on June 25, July 9 and July 23 from 10 to 11:30 a.m., featuring a fun and engaging science show by Glen Beitmen of “Super Science & Amazing Art” on “The Wonders of Water.” Aboard the M/V Double Sunshine, guests of all ages will enjoy Beitmen’s humor and hands-on science experiments and demonstrations that entertain and educate children about the properties of water, environmental science and the habitats that live in and around Southwest Florida waterways. Reservations can be made by contacting the Naples reservation office at 239-263-4949. Admission is $35 for adults with free child admission with every paid adult. Additional child admission is $17.50. Pure Florida’s Fort Myers location will offer Marine Science Kids Cruises July 2 and July 30 from 10 to 11:30 a.m. Children will cruise along the Caloosahatchee aboard the M/V Edison Explorer, collect water and perform water quality experiments to test the levels of nitrates, phosphates, ammonia, pH and salinity. Pure Florida’s Pure Education team will work alongside students as they record their results and explain the importance of each element in its relation to the health of the waterways and the marine wildlife that inhabit Southwest Florida estuaries and rely on healthy water. 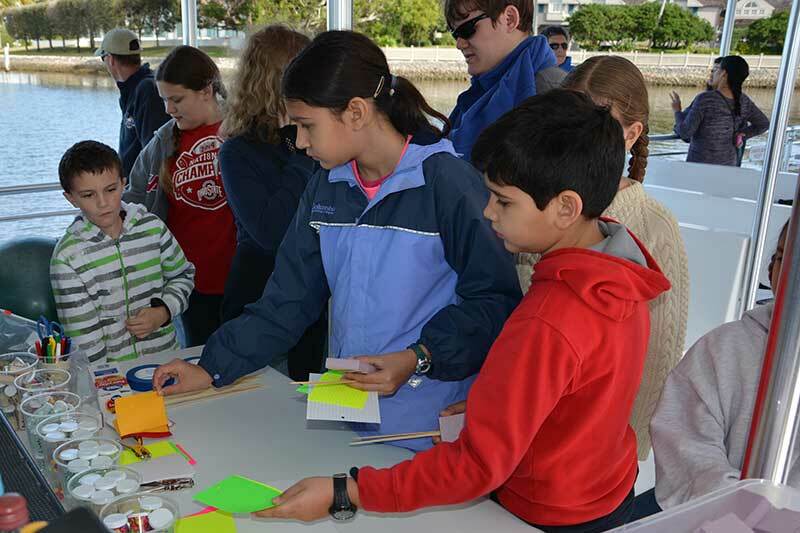 The Marine Science Kids Cruise is an excellent way for children to get hands-on right in their environment to learn the history of Southwest Florida waterways and best practices for clean water preservation. Children and their families can enjoy sightseeing along the Caloosahatchee River at the conclusion of the science portion of the cruise. While Pure Florida cannot guarantee animal sightings in the wild, potential wildlife sightings include dolphins, eagles, manatee, native birds and more. Reservations can be made by contacting the Fort Myers reservation office at 239-919-2965. Admission is $32 for adults with free child admission with every paid adult. Additional child admission is $16. Pure Florida is partnering with Cape Coral Four Freedoms Park for the second year to also offer the Marine Science Kids Cruises departing from Bimini Basin. Cruising on multiple dates, June 28, July 13, July 28 and Aug. 2, gives Cape Coral families plenty of choices and a convenient location to experience this cruise. Cruises depart from Four Freedoms Park at 9:30 a.m. and returns at 11 a.m. Along with the educational experience, families can also enjoy sightseeing along the southern direction of the Caloosahatchee River, which is only available through the Cape Coral Four Freedoms Park Marine Science Kids Cruises. Reservations must be made through Four Freedoms Park at 239-574-0804. Admission for adults and children is $15 per person with a Cape Coral Resident Discount and $23 per person for non-residents. Each Pure Florida summer Kids Cruise option gives children and their families the opportunity to enjoy 1.5-hour cruises that include an entertaining environment for the children to learn about the Southwest Florida environment and to observe the variety of wildlife present on the waters. While Pure Florida cannot guarantee animal sightings in the wild, potential wildlife sightings include dolphins, eagles, manatee, native birds and more. Pure Florida’s Pure Education program focuses on enhancing educational programming and outreach that teach students about the natural Southwest Florida environment, inspire commitment to preservation efforts and encourage future environmental scientists and marine biologists. Pure Florida offers a variety of marine experiences that showcase the natural beauty of Southwest Florida including sightseeing, river and sunset cruises, popular with passengers of all ages. Tours are guided by Coast Guard-certified captains, also master naturalists, highlighting Southwest Florida and the unique wildlife native to this region. In addition to its cruises, Pure Florida offers eco-shelling-dolphin tours, fishing trips and charters, jet boat thrill rides, boat rentals, and Jet Ski rentals and tours. The M/V Double Sunshine departs from the historic Tin City, located at 1200 Fifth Ave. S. in Naples. The M/V Edison Explorer departs from The Marina at Edison Ford, located at 2360 W. First St. in Fort Myers. Cape Coral cruises will depart from Four Freedoms Park, located at 4818 Tarpon Court in Cape Coral. Reservations are recommended. For more information or to reserve, please see the information below.